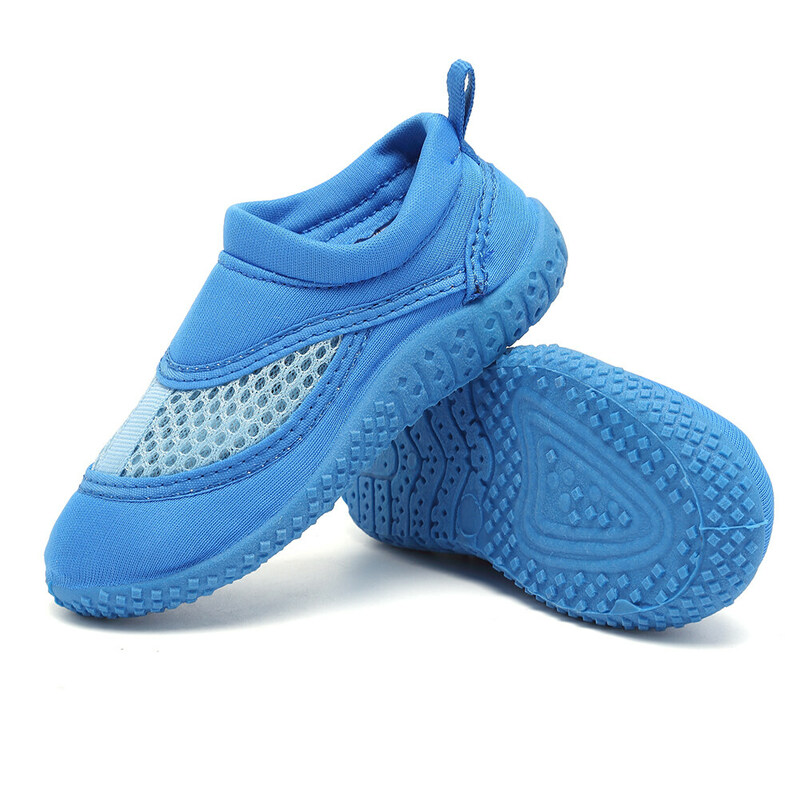 COMFORTABLE FEELING: Breathable mesh and fabrics of uppers, quick-dry materials keeping feet feeling comfortable all the time. 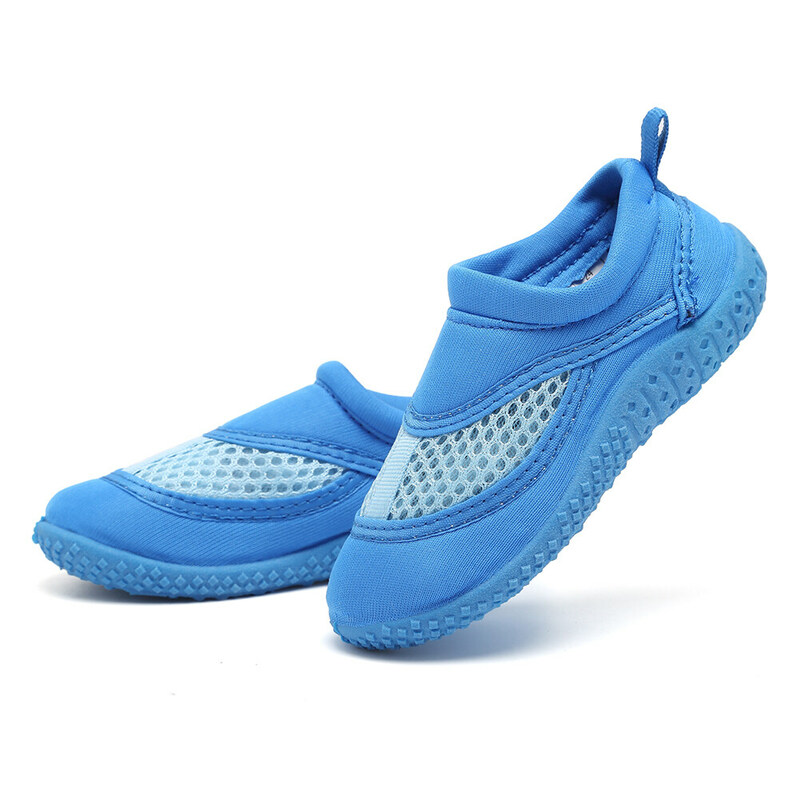 PROTECTION: Good quality and workmanship of our water shoes, protect little feet from cuts and scrapes when kids are swimming or playing on the beach. 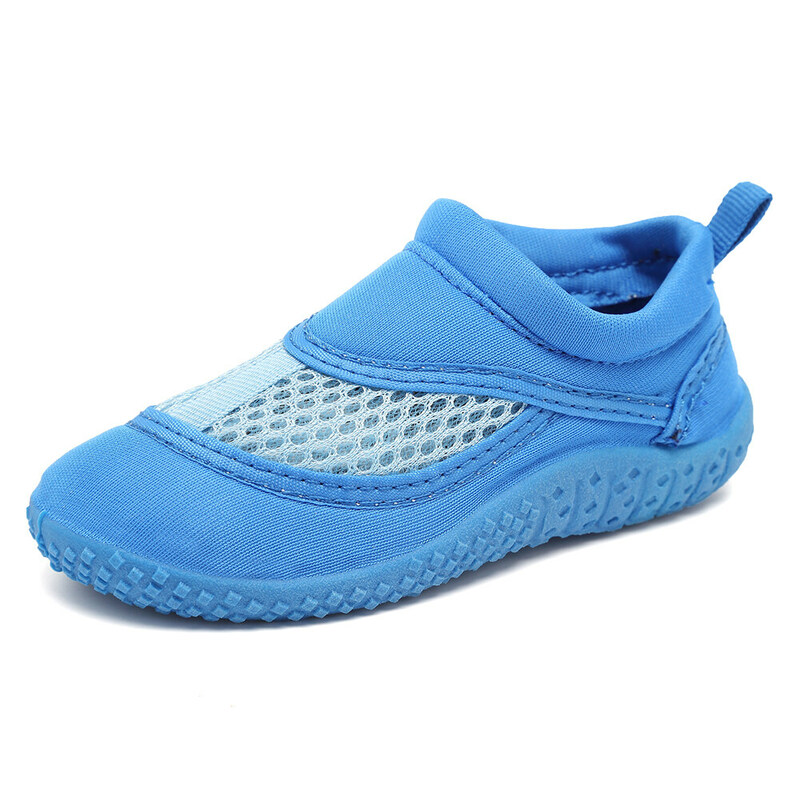 CONVIENT: Slip on design convenient for your kids putting on and off easily. 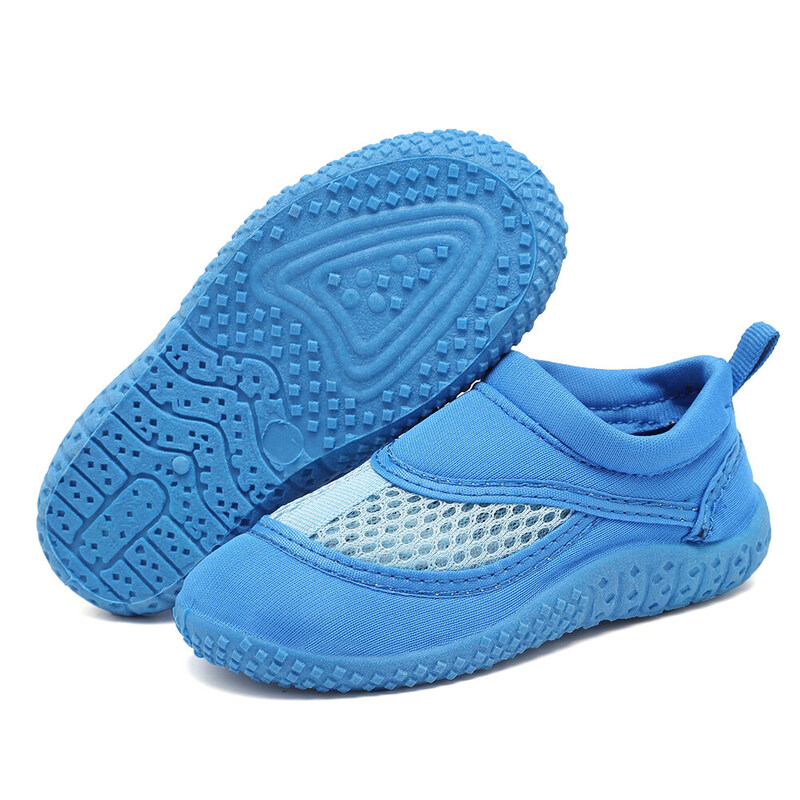 ANTISLIP SOLE: The rubber soles are skid resistance to prevent kids from slipping, and they are also flexible and thick enough. 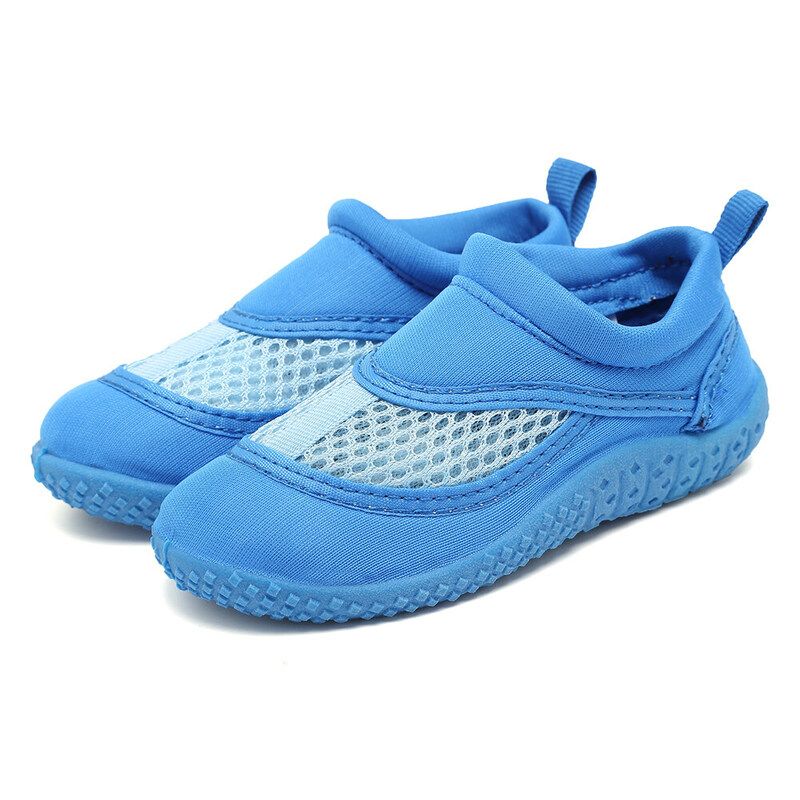 OCCASION: Perfect for swimming, beach, boating, backyard, walking, running,fishing, cycling, jogging and other inside and outside activities.